Driving home today I listened to people from Kiribati talking about how they are experiencing the consequences of global warming on a daily basis. A Kiribati woman named greed as the problem, that the huge amount of scientific advice available about the causes and consequences of climate change was not being heard, and in some cases was being deliberately ignored, by the powerful (and less powerful) vested interests of the so-called free market economy of neo-liberalism. She outlined a belief system that puts the greedy accumulation of money and power over and above the basic majority needs of housing, quality education, sense of community, and health care: a belief system that regards nature as an infinite resource, and gives scant regard to democratically attained regulation designed to ensure the ongoing health of the biosphere we all depend upon. This belief system, based on regulation-free economics, has another insidious side to it that infects and influences how we perceive and experience the world around us. Its inbuilt message, peddled strongly by the advertising industry, is that individuals do not have enough, and that you yourself are not enough. This message drives a culture of unnecessary and wasteful consumption, ultimately to the degradation of the air, water and soil that we depend upon. Billions of dollars are spent on convincing people they need what they don’t need. It seems to me that a system of thinking that reduces everything to a marketable commodity (yes, fresh canned Tasmanian air is sold in Beijing) has the inevitable conclusion of consuming what we depend on for life itself. For those who care about future generations and our interdependent relationship with an Earth that sustains all life, it is a daily challenge not to be overwhelmed by despair and disillusionment. We may doubt that we have the resilience to question and challenge the lies and deceit that prop up what we know to be untrue and harmful. This article is based on a talk I gave to a group of people attending a monthly open meditation event at our house. Not the type of meditation that leads with the carrot of personal salvation; more, one firmly anchored in facing our every day experiences and the challenges and choices we face. It is my intention that this writing will go some way to helping you to remember a resilience that is naturally available to all of us, and that it will also blur the line between what is perceived as “political” and what is experienced as “spiritual”. Ash. Oak. Beech. Sycamore. Plane. Horse and Beech Chestnut, Hawthorn and Alder. These are some of the trees I fondly remember from my childhood. I grew up in trees. Literally. Not all my life though. I spent quite a bit of time as a kid hanging out in trees. We would climb to the top of a tree, sit in the fork of a branch and while away time in the sway and bounce of the breeze, imagining all sorts of possibilities. Today I’m inviting you to compare yourself to a tree, to embrace the qualities of a tree. To look at how those qualities carry us through life and how we might consider ourselves to have similar qualities. Maybe you could take a minute to reflect on what you see as qualities of trees that have similarity to human qualities. Trees, like humans, are relational beings. They need a multitude of other living organisms to keep on going, to grow, to reproduce. There is also a symbiotic relationship between trees and humans. Humans breathe in oxygen and exhale carbon dioxide, while trees breathe in carbon dioxide and exhale oxygen. In this way we co-exist. We are inter-dependent on each other. Like us, trees are mostly water. We both have a peak life span of approximately 80 years and the most important similarity between humans and trees is that each tree, like each human, is unique and beautiful in its own way. So, we are really are similar to trees, in many ways. Trees seem to stay rooted in one place. In reality, groups of trees, over a span of time, that challenges our imagination, move across landscapes to suit changing circumstances. What other similarities are there between trees and human beings? We can compare our capacity for resilience with trees. I remember sitting in a tree as it swayed and bowed in the wind and how the tree and I always came back to the same place. A few years ago, a group of scientists conducted an experiment. They created a bio-dome: a very large glass dome that supports an artificial world. It’s a controlled environment completely self-contained where scientists studied human beings, plant life, farming techniques and biological functions. For months and months everything seemed to be perfect. No plant, animal or human seemed in any way adversely affected by the artificial ecosystem. However, one day a tree fell over, seemingly for no reason. Other trees started to topple. Startled scientists and humans inside the dome soon realized that the trees began to fall when they reached a certain height because the root systems were shallow and undeveloped thereby, incapable of supporting the mass of the tree. What had the brilliant researchers forgotten in their near perfect synthetic world? Without resistance, the trees simply did not grow deep roots. This has been confirmed by other scientific studies. Going even further, the data shows that trees in habitats with powerful winds grow deeper roots than trees in milder climates. I remember years ago witnessing the remarkable resilience of trees growing in the wild. A stand of Flooded Gums about 15 metres high on the edge of a forest were suddenly caught in a ferocious local tornado. They bowed to the ferocity of the wind, so much so, that at times their crowns touched the ground. The storm passed and they resumed their upright life. If we think like a tree, and we look around at other trees, we see evidence of this form of survival. Trees in Australia have adapted to harsh and unpredictable conditions. Left unharmed by humans we can see scarred and twisted trees, elders of the natural world, bearing evidence of great resilience. Most of us have resilience, the ability to come back from adversity and, as is commonly said, “get on with life”. If we weren’t collectively able to do this, we would not have survived as a human race. We can also reflect on our personal journey through life. We can no doubt remember times when the sun shone and we metaphorically swayed and bowed in the breeze. Most, if not all of us can also recall winds of ferocity that bent us to our limits and how we gradually came upright again. Depending on circumstance and conditions we grew roots that have sustained us to this point in time. Maybe a bit scarred and twisted . . . but here we are. “The capacity to recover quickly from difficulties; toughness. The ability to spring back into shape, recoil, rebound”. The dictionary I consulted also indicated a marked increase in the usage of the word ‘resilience’ after WW2, a time, especially in Europe, when whole populations were traumatized and there was much to recover from. We have been blown this way and that in our lifetimes. We know the pain of birth, the grief and sadness of death, times when we have felt depressed and lonely, lacking in confidence and unsure of our way. It’s life itself that calls us back, as the tree is called back, from being lashed and buffeted by damaging winds. Some of you may have recently heard ABC presenter Leigh Sales talking of how she has just experienced the worst two years of her life. She experienced what she calls “a string of heart wrenching traumatic events”: a near death experience of her child and herself, and her marriage break-up. Following her recovery, Sales now sees beneficial outcomes that arise from challenging events, an outcome that is being recognized more generally by mental health professionals as post traumatic growth. I know this sounds trite, but I do think that the thought of what can happen, that I’m not special and life is random and nobody is immune from terrible things, has made me appreciate everyday things much more. The psychologists who coined the term post traumatic growth syndrome did so after interviewing many people suffering from severe injuries or loss. Instead of feelings of depression, anxiety and stress, each patient displayed remarkable effects of renewed appreciation for their lives, a stronger connection to their spirituality, and overall inner-strength. I’m sure Buddha would have nodded in recognition to hear Leigh speak about the benefits arising from suffering. Buddhism puts this in symbolic terms, describing the beauty of the Lotus flower finding its way to the surface from the muddy depths below. It’s possible for us to develop awareness in a way that helps us to grow roots that have depth, and spread to counter the sway and bluster of life. If we are able to put our face to the wind, to be receptive to what we are experiencing, we can the see what Leonard Cohen referred to as the crack where the light comes in. This is the place or space where we are presented with choice. He could well have been writing this from a Buddhist perspective where, with the development of mindfulness and skilful reflection, we refine our ability to make choices that reduce our suffering. We are neither Leigh Sales nor Viktor Frankl. We are though, resilient in our own unique way, as are trees. Our life stories hold many examples of resilience, some great and some small. As with trees we are able to grow our resilience, by communicating with others, by supporting others and offering sustenance to those who are sick and struggling. We can also be vigilant and warn each other in terms of pending dangers. We can look for the crack or the space between stimulus and response and, if we reflect more deeply, we can begin to see how the choices we have made throughout our life have brought us to where we are today. While agreeing with psychologists that to some degree we learn resilience, I want to suggest that as humans we are not separate from nature and we have a natural inherent resilience, as do trees. Jane Hirchfield, an ordained Buddhist writer and poet, wrote of this optimism, in a beautiful poem. To my mind I see this as an invitation to trust a given resilience, that of life itself, constantly unfolding and giving shape within the never-ending flux of our experience, life and life only . . . just as it is. mitochondria, figs…all this resinous, unretractable earth. Since finishing this article, I attended the Youth Climate rally on the foreshore of Byron Bay. It was a beautiful sunny morning. I felt deeply moved in ways not so familiar. I felt a surge of admiration for these young people, mostly young women, speaking and acting with such articulate fervour and passion. I also felt that in some ways, I and my generation had let them down. I thought, it’s come to this: our children on the streets. How do we bring about the changes these young people are demanding? Knowing what we now know, how are we to live? In the coming years our sense of natural resilience is going to be called upon in ways we cannot fully imagine. We are being asked, as David Loy points out, to do the very best we can. We do this not knowing what the consequences might be or whether our best efforts will make any difference. Loy says that while we don’t know if what we do is important, we know it’s important for us to do it. We do, though, trust that our efforts will bear fruit, as ultimately, they are an open-hearted gift to the Earth. Know that whatever is to be in the future, it will feel good to be of service in whatever ways your gifts can be used and on any scale that feels right and true, whether in your personal life of family and friends, or in a larger community. There is no need to keep accounts of whether your actions will someday pay off. Being of service feels good for its own sake and gives your life meaning, a sense that you are being well used, like good compost in the field of life. Developing the habit of re-directing your awareness when your mind is lost in fear or troubling stories induces confidence along the way. Your attention starts to incline toward ease more frequently. You find that you can choose calm. You can choose gratitude. You can choose love. For nearly thirty years I have led public sessions and silent retreats around the world. In those gatherings, I encourage people to manage their own attention by moving it into present awareness, gratitude, and an immersion in the senses. However, using your attention in any given moment is conditioning the experience you are having in that moment. We live in a time when managing our attention will be all the more necessary to stay calm and to allow us to enjoy and be helpful in whatever time is left. Directing attention is a facility that becomes habitual with time. Left to its own conditioned patterns, our minds get into all kinds of trouble (unless one was very lucky in one’s conditioning, which is rare). 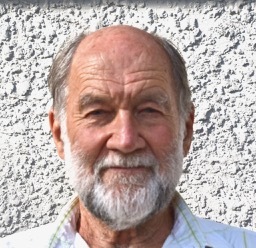 Ken Golding has a diverse history of social and environmental activism, meditation and artistic expression and has been engaged in creating and presenting innovative workshops, courses and activities for over 30 years. He has facilitated on several Yatras and Nature Retreats and currently teaches meditation using the Recollective Awareness approach. Ken has deep concern about our collective environmental and social future and believes that re-defining and affirming our relationship with the natural world is central to these concerns.